I have a lot of big ideas at work. I’m one of those people who thinks well beyond my cubicle walls. I think about ways that we can make our customers happier and grow business. I think about ways we can do things more efficiently and reduce costs so that we have more money available to do other things. At times it seems like I’m worrying about things that the executives in my company should be worrying about, but don’t seem to be. Often things happen that seem to strike everyone out-of-the-blue that I saw coming from a long ways away. This helps me out in investing as well, but I digress. Something struck me when I was reading Are You a Time Snob by Miss Functional Money. This is an excellent blog post about the need to give away your time wisely, always focusing on your goals. In many ways, this reminded me of the great book by John Maxwell, Today Matters: 12 Daily Practices to Guarantee Tomorrow’s Success , where he talks about using the time that you have to reach goals and making every day count. It also goes back to the classic book by Stephen Covey, 7 Habits of Highly Effective People , where he talks about always using your time to drive towards goals, focusing on those tasks that take you closer to those goals and dropping those that do not. In his classic book, Covey talks about when he was a boss, going to one of his underlings to ask him to take care of a busywork task, but then deciding to give the task to someone else when the individual he was going to assign showed him the effect that taking on the new task would have on the more import work he was doing. He had everything laid out and scheduled, so he could show Covey exactly what would slip and not get done if the employee took on the busywork. It was then that Covey learned the importance of choosing which tasks to do and which to ignore. He even divides tasks into four quadrants, those that are: I) important and urgent, II) important but not urgent, III) not important but urgent, and IV) not important and not urgent. Items in those latter two categories may not get done at all. Having a great support staff for the producers in your company is a great way to produce more and make more money. Now don’t get me wrong. I’m not saying that every person in your company needs to have his/her own, personal assistant to answer their phone for them. I’m also not saying that things like typing up notes, fighting Word to try to get headings in reports to be consistent, or washing the urinals is beneath me. What I’m saying is that having me and the other producers in the company do so may be penny wise but pound foolish. 1 individual x $15/hour x 4 hours/week x 52 weeks/year = $3120/year, for a savings of $59,380 per year! More than just saving money, if you provide the needed janitorial help, you now have those engineers, who are the ones who produce the products that your company sells, producing products for that extra 15 minutes per week (in addition to the time required to get back on task after the interruption). They may also be talking to customers and keeping them happy or inspecting drawings and doing calculations that might prevent something really bad from happening that would sink your company. In other words, doing the things that they are best at and have the unique skills to do. Producers are rare. Use them effectively. Producers – the ones who come up with the new ideas, create the data that then gets put into the PowerPoint charts that the executives all brief to each other, come up with your next great project, and take on the role of champion to get things done – are rare. Many people are not creative and are not willing to put in the effort it takes to jump through all of the hurdles a corporate bureaucracy puts up that keeps people from getting things done. A lot of people are just working eight to five so that they can go continue watching their series on NetFlix or get out on the bass boat for the weekend. There aren’t that many people who are really looking to push things forward. You should take advantage of those who are by having them spend their time producing, rather than doing work many others can do or that really shouldn’t be done at all. There are also just as many people who seem to see it as their job to stop those who are producers, or at least have no desire to help them along the way. They put up roadblocks and require the producers go through endless meetings and fill out endless forms. The act as if they are doing the producers a favor by giving them permission to proceed with their work and actually produce something. Often, these individuals are put in place through your corporate actions and given their power through your dictates and proclamations. Find where the roadblocks are, eliminate those that are not needed, and provide the producers with the help needed to get through the roadblocks quickly without spending half of their time jumping through hoops. If a form is really needed or approvals are really required, minimize the amount of work needed to fill in the forms or generate materials for the meeting and provide assistance to the producers to create the paperwork. Remove those creating roadblocks and replace them with people who will help the producers do what needs to be done rather than make demands for the producers to meet. Beyond janitors, who were mentioned earlier and play an essential function in keeping our workplaces sanitary and safe so that others can focus on other tasks, there is a whole variety of support personnel who can greatly boost productivity and profitability of a business. There are the administrative staff who can do things like create trip requests and expense reports, aid in scheduling meetings, and make sure materials for briefings and reporting are ready and look great. There are technical editors who can take the basic reports generated by the producers and make them consistent, sharp, and well-written. There is the information technology staff who can make sure the PCs are secure and working properly. There are the technical aides who can take basic data and generate graphs and calculations to flesh out concepts. Note that the great people you hear about had all kinds of people helping them. Einstein had a whole team of mathematicians behind him, helping with the derivations of his theories. Steve Jobs had a whole design staff behind him to take his concepts and fill in the details. It is this help that allows people who produce ideas and products to leverage what they can accomplish in a day, meaning that you get more from your employees. If you’re an engineering firm, you probably have trouble finding engineers with the right skills. If you run a newspaper, you probably have trouble finding good reporters. If you run a trading firm, you probably have trouble finding good quantitative analysts. In every business, it is difficult to find people who will take on personal responsibility and really care about the business. Don’t waste the time of those whom you find. It may also be that you think you need to find another producer, but in actuality, you could do more with the ones that you already have. If each producer is spending half of their time dealing with busy-work, hiring on a good admin person might be like hiring another producer or even two. There can also be big gains in efficiency when you have administrative people that deal with the same processes and systems every day, as opposed to dealing with them sporadically. Think about it, who would be more efficient at making a home repair, a person who does it every few years or someone who does it daily? The same goes for a wide variety of tasks from fixing an IT problem to getting a report through a review process. There is a learning curve that is never overcome when people do things a couple of times per year versus every day or every week. There are also relationships that are built that make processes more efficient that aren’t built when you don’t have the same people doing them. A skilled administrator or another support person who becomes very efficient at their craft will not only free up others but also do things must more quickly and at less cost. There is a whole FIRE (Financially Independent, Retired Early) movement of people who want to get out of the rat race by the time they are in their forties or even their thirties. These tend to be educated, skilled professionals. These are just the kind of people who you need and whom you are finding it difficult to hire. This is right at the time in their careers when they will be the most productive and the most valuable to your business. This is just when they want to leave and start a travel blog. 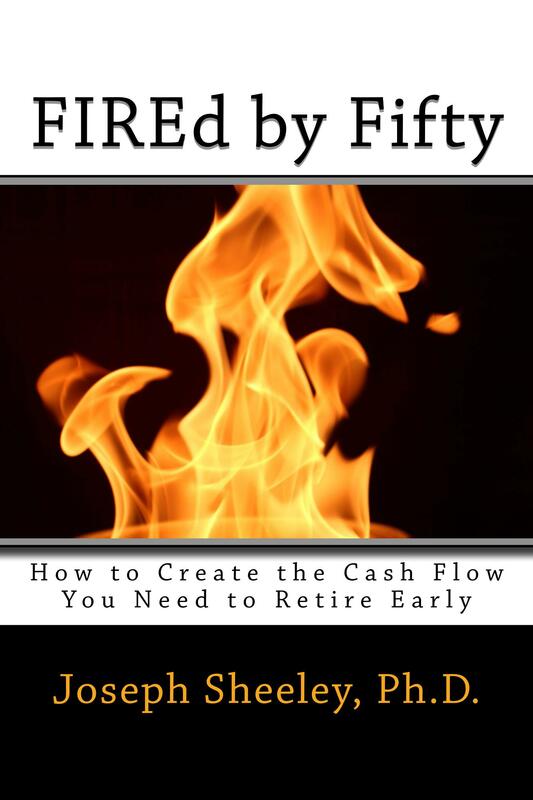 I even wrote the instruction manual on how to become FIRE, FIREd by Fifty: How to Create the Cash Flow You Need to Retire Early and showed how most people can set-up a cash flow plan to let them reach financial independence by about age 45 if they start in their twenties. This means that they will be leaving right at the time workers in the past were most productive and ready to make the biggest impact on the bottom line for the company in which they were working. Your company. Even if they don’t leave the workforce entirely, if they are not happy at their workplace, they may very well jump off to the next place if they can get a slightly larger salary or just because the grass looks greener on the other side. This means that you will be constantly training new people and losing corporate knowledge. People are happiest when they are doing what they want to do. For the producers in your company, this is creating, producing, and executing. These actions require just the kind of skills that employers will tell you it is hard to find, as you know. And yet your failure to provide support for producers and eliminate barriers is keeping them from doing these things that you need to have done. Let them spend most of their time doing what they enjoy, which is also just what your company needs, and not only will you get more produced but you’ll also see less turn-over and fewer early retirements. So, maybe what your company needs isn’t the newest business strategy or process. Maybe your issue isn’t hiring talent, but using the talent you have effectively. Maybe, just as your personal support staff makes you more effective and allows you to concentrate more on the critical items in your company, providing proper support to the producers in your company will allow them to be more effective as well. You can rearrange desks, reorganize, develop new processes, and hire as many consultants as you want, but in the end it is the producers in your company that make it successful. You can choose to continue to burden them, or you can free them to help you succeed. If you choose the former, don’t be surprised if they’re FIREd by Fifty. If you’re new to the personal finance world, please let me recommend a few great books to get you started. Each of these have a lot of great information. Read all three and you’ll be a personal finance, FIRE expert in no time. The Millionaire Next Door: The Surprising Secrets of America’s Wealthy: Provides information on what millionaires are really like. Once you know how they really live, you’ll understand the things you’ll need to do to become and stay a millionaire. Broke Millennial: Stop Scraping By and Get Your Financial Life Together : Erin Lowry is a millennial who learned how to handle her finances from her parents. Now, she shares the tips and tricks to taming your finances and winning with your money in a friendly, approachable style. The Total Money Makeover : Sure, sometimes it seems like Dave Ramsey hits his listeners over the head with a two-by-four, but if you’re $25,000 in credit card debt, maybe you need it. Dave Ramsey gives the manual on how to get out of that huge hole you’ve dug yourself into and bring yourself to financial peace. Next Your Stock’s Way Up, but You Don’t Want to Sell. How to Delay Capital Gains. Excellent read and so true! 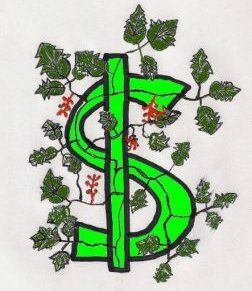 I know SMEs are all about saving money where possible, but the end of the day, it would be better to save money wisely!